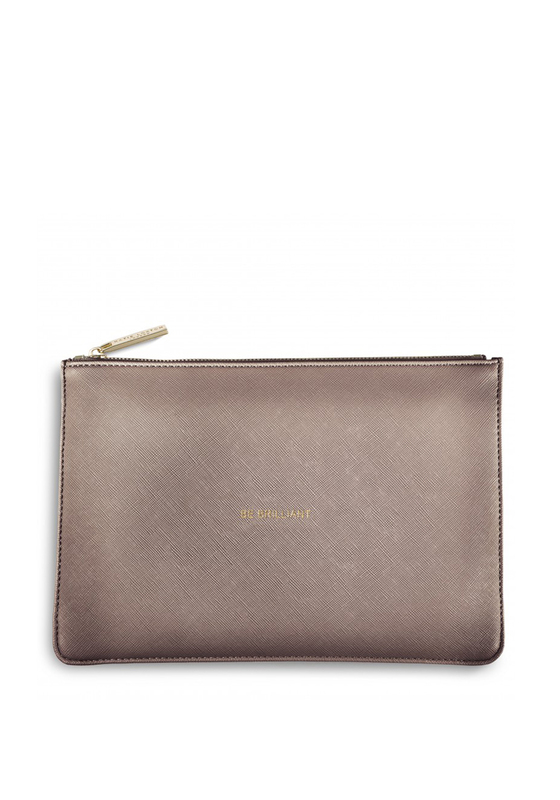 Add a touch of sophisticated glamour to a night time outfit with this rose gold pouch bag from Katie Loxton which can be used as a clutch. Alternatively it can be used as a make-up bag during the day. Crafted from faux leather and featuring a zip top fastening and ‘Be Brilliant’ lettering in gold on one side.